At Monroe Moxness Berg PA, Jim provides leadership in the area of public finance related to redevelopment, economic development, and housing. His diverse client base includes large and small cities and authorities in the public sector, along with a variety of developers in the private sector. During 43 years of legal practice, including 32 years of experience in public finance and 8 years as a Minnesota legislator, Jim has a proven track record of successfully managing a variety of projects, including complex development projects. 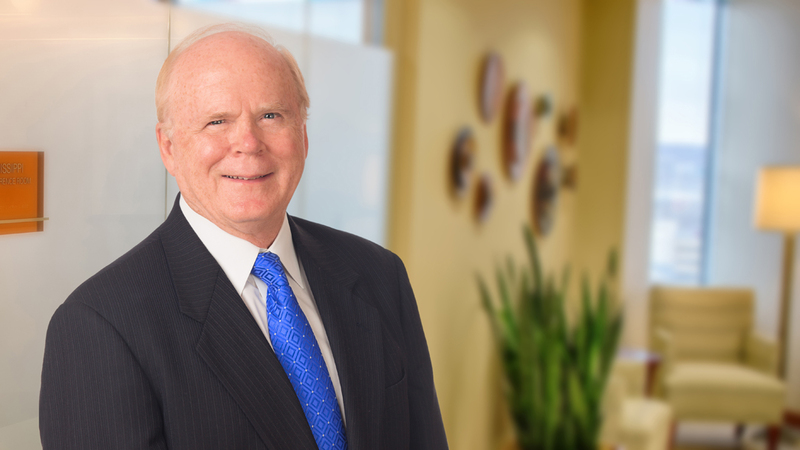 As a partner with a large, national law firm, Jim helped establish the firm’s public finance department. He also has worked as an investment banker for a large regional investment-banking firm. In 1988, Jim and Mary Molzahn established Casserly Molzahn & Associates, where he practiced until merging with Monroe Moxness Berg PA in 1996. A frequent lecturer on creative public financing options, Jim remains involved in legislative activities related to public finance issues. This allows him to actively develop innovative public finance options to accommodate legislative changes. Jim received a B.S. degree from St. John’s University, and a Juris Doctor from the University of Minnesota. He is admitted to practice in both state and federal courts and is a member of the National Association of Bond Lawyers. Jim has been honored many times as a “Super Lawyer” by Minnesota Law & Politics magazine.